With so much buzz about the personal assistant Siri, beta testing inside the new iPhone 4S, there are some other interesting features that local businesses should not ignore, mobile & local search optimization. I have been using my new iPhone like crazy, testing it, yelling at it and begging it for direction. As I was doing this, especially with local search queries, I noticed Siri is quite the Playa’ when it comes back with local search results. You see, when you ask her (it) for example for Taco Bells nearby, it pulls up Yelp reviews, and results. If you click on one of these, it then sends you to a Google Map listing. Ok, so here is why local search is so important. First, I don’t know why she doesn’t pull directly from Google Maps reviews, but Yelp. I guess she’s playing both teams? Why not stay put with one platform? Yelp does have a better review platform, thus why Google tried to buy them last year. (Side note: Google recently acquired ZAGAT) Regardless, Siri validates how critical it is to have a mobile, local search strategy. Why? 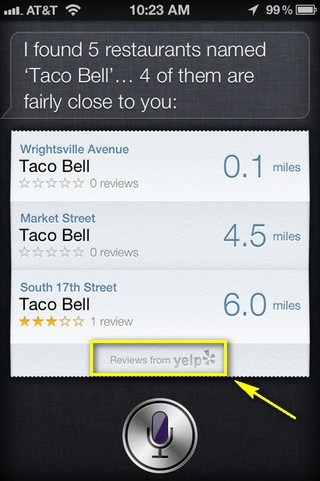 Apple clearly uses and aggregates Yelp reviews….Is your business on Yelp? If not, it should! 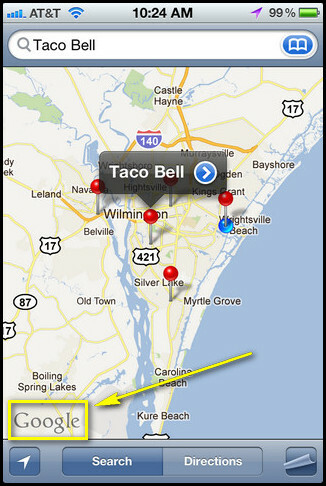 Apple uses Google Maps API as well. Does your business have a Google Places account? What are your thoughts? 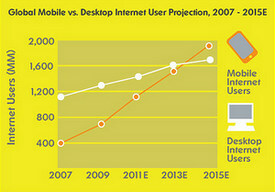 Does your business have a mobile strategy? Please let me know, I would like your feedback, and also how you have been using Siri….she is truly a game changer with many things, especially local search marketing! Siri you rock!